This Saturday November 24, 2018 the Comox Valley Farmers’ Market and the North Vancouver Island Chefs Association will be hosting Food Fest. The chefs will be cooking up a variety if delicious dishes using ingedients from our vendors. This is a great way to inspire you cooking or to try something new. 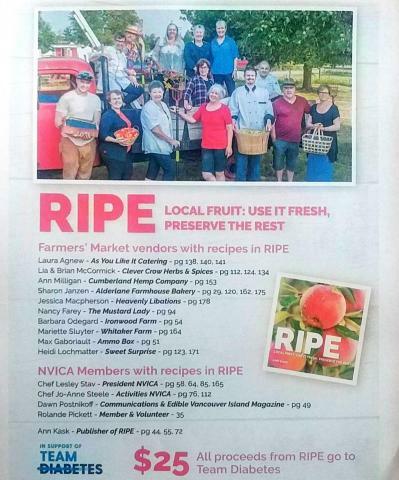 Also at this event the release of RIPE, a cookbook on local fruit and how to use it fresh and preserve the rest. Come done to the Native Sons Hall from 9-1 and check this out.